Nice facility, absolutely beautiful view and location. The front desk personnel were not all friendly and food service were great but hours too short. 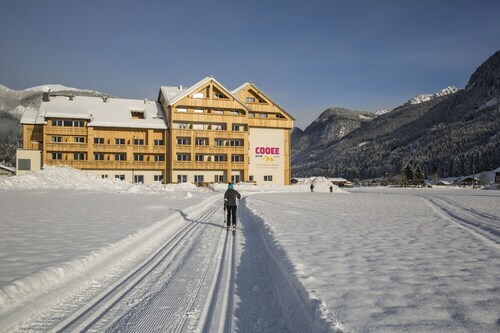 Located in Gosau, this family-friendly apartment building is 2.4 mi (3.8 km) from Gosausee Lake, and within 12 mi (20 km) of Dachstein West Ski Area and Hallstatt Lake. Hallstatt Salt Mines and Hallstatt Central Square are also within 12 mi (20 km). 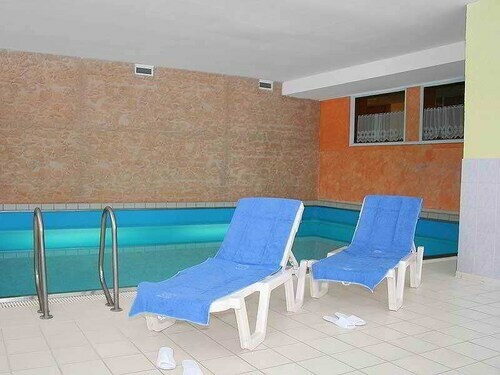 It was a very comfortable and pleasant stay. The facilities were well maintained, and I was very pleased with the preparation of the kitchen. 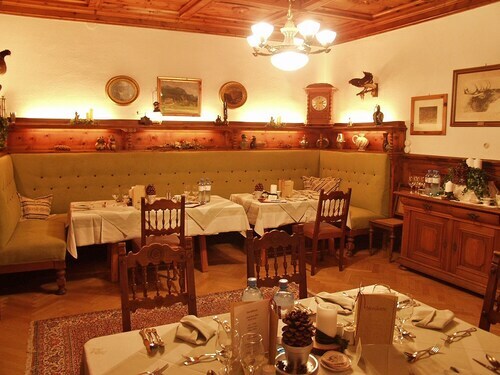 Situated in Gosau, this hotel is 1.7 mi (2.7 km) from Gosaukamm Cable Car and 2.6 mi (4.1 km) from Dachstein West Ski Area. Gosausee Lake and Horn Cable Car are also within 6 mi (10 km). 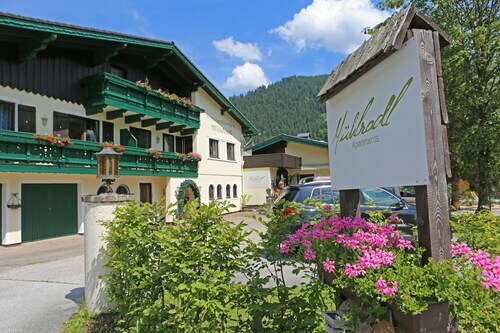 Situated in Gosau, this spa apartment building is 0.8 mi (1.3 km) from Gosaukamm Cable Car and 2 mi (3.2 km) from Dachstein West Ski Area. Horn Cable Car and Gosausee Lake are also within 6 mi (10 km). 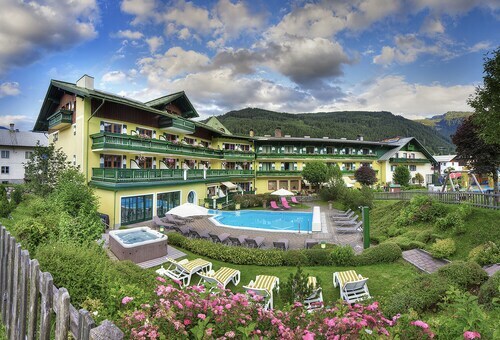 Conveniently near skiing facilities, this Gosau hotel is within 3 mi (5 km) of Gosaukamm Cable Car and Dachstein West Ski Area and close to winter sports such as cross-country skiing and skiing lessons. Horn Cable Car and Gosausee Lake are also within 6 mi (10 km). The location was breathtaking, the owners warm and lovely, the breakfast memorable and fresh!